It's been a crazy week in Washington. Today, for the second time in as many days, the Republicans cancelled the vote on their terrible healthcare bill, the American Health Care Act. This bill would have been a disaster for women, families, veterans, seniors, and those struggling with substance use disorders. I fought this bill every step of the way, and I will continue to fight for the rights of all Americans to have access to quality, affordable health insurance. I hope my Republican colleagues will choose to do the same and reassess their single-minded focus on repealing the Affordable Care Act. If we work together in good faith, we can improve our healthcare system for all Americans. 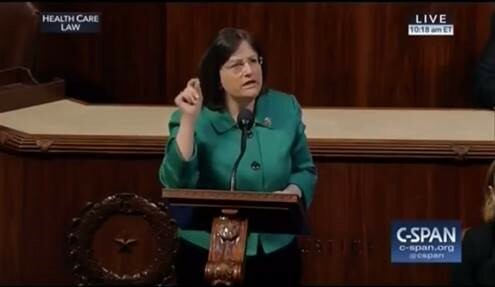 I spoke out against the AHCA today on the House floor. Watch my full remarks here. Thank you for your calls, emails, and letters to express strong opposition to this bill. I love hearing from fellow Granite Staters, and your input greatly influences the decisions I make in Washington. If my office can ever be helpful to you, do not hesitate to reach out!